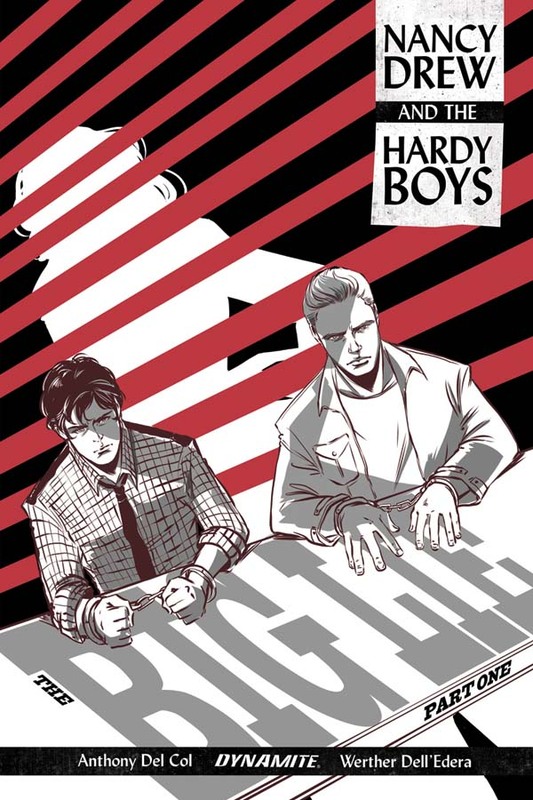 Earlier this year, Dynamite Entertainment further solidified claim to the industry's leading publisher of licensed comics with news of an exclusive arrangement with Simon & Schuster to bring the beloved characters Nancy Drew and The Hardy Boys to comics with all-new adventures! 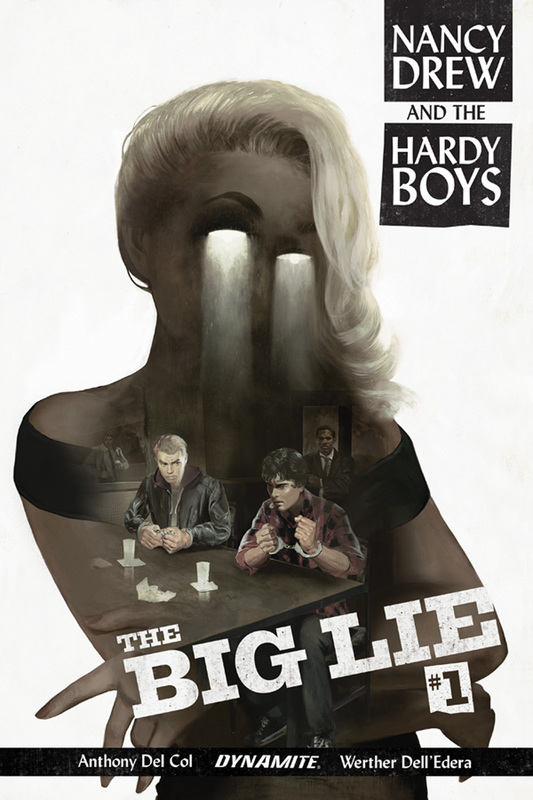 In this modern take, teenage brothers Frank and Joe Hardy are accused of the murder of their father - a detective in the small resort town of Bayport - and must team up with the femme fatale Nancy Drew to prove their innocence (and find the real guilty party in the process) in a twisting, hardboiled tale, complete with double-crosses, deceit, and dames. Inspired by new crime classics like Ed Brubaker's Fatale and Darwyn Cooke's Parker series, writer Anthony Del Col (Assassin's Creed, Kill Shakespeare) and artist Werther Dell'Edera (Batman: Detective Comics, House of Mystery) bring the iconic teen detectives into the modern age, and redefine noir for a new generation of readers! 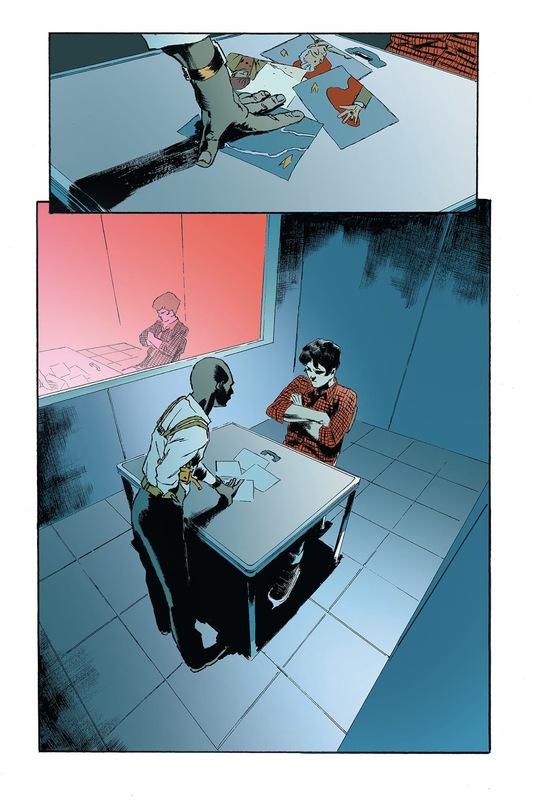 Writer Del Col, a big fan of the characters, conceived this unique take years ago and worked to find and secure the license with Dynamite to bring this tale to life. 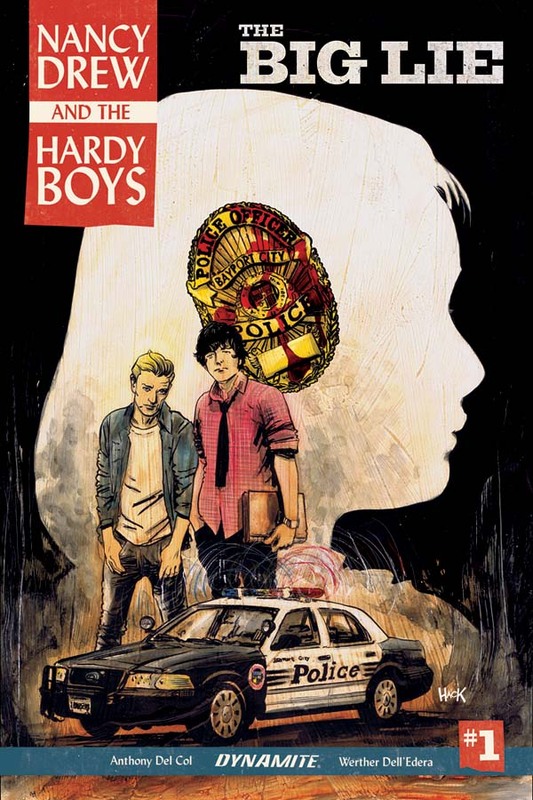 "I often come up with a lot of bizarre ideas, and two years ago I had this vision of a modern-day noir story with femme fatale Nancy Drew aiding accusing criminals the Hardy Boys," says writer Anthony Del Col. "It was an idea that, upon further thought, actually wasn't that bizarre. And now Werther, Dynamite, and I are using it as a launching pad to examine who these characters really are, and why they're still so beloved." "We wanted to do a take on the iconic characters the world grew up on unlike any that had come before," says Dynamite Entertainment CEO and Publisher Nick Barrucci. "Anthony Del Col had a true passion for the source material that Werther Dell'Edera was able to bring through perfectly. This series does the characters justice, with a modern take that fits perfectly alongside Dynamite's other popular crime titles!" 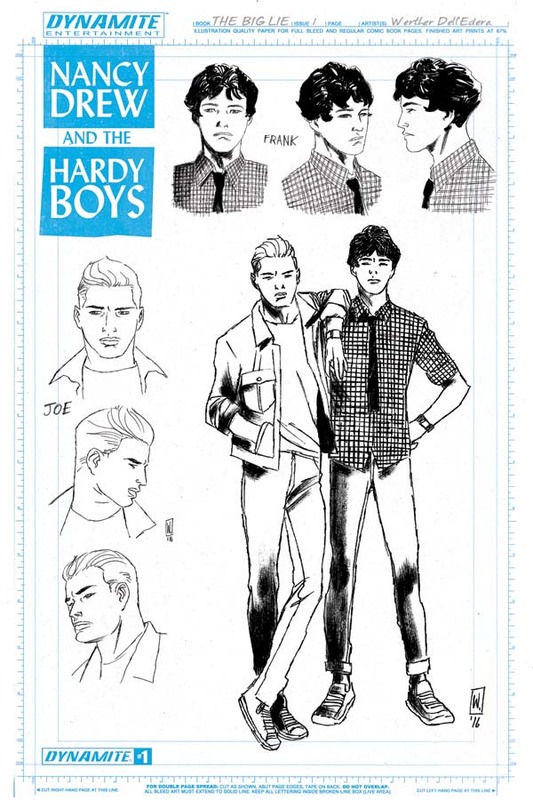 Nancy Drew and The Hardy Boys: The Big Lie will be solicited in Diamond Comic Distributors' January 2017 Previews catalog, the premier source of merchandise for the comic book specialty market, and slated for release in March. Comic book fans are encouraged to reserve copies with their local comic book retailers. 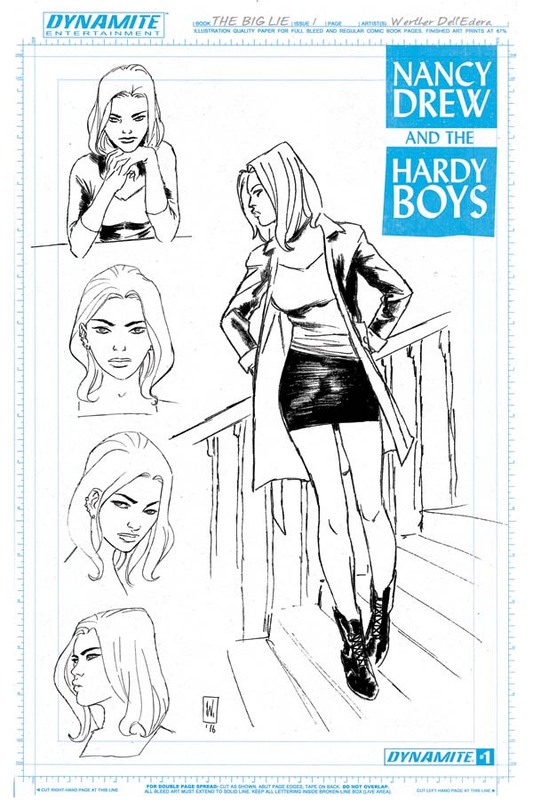 Nancy Drew & The Hardy Boys will also be available for individual customer purchase through digital platforms courtesy of Comixology, Dynamite Digital, iVerse, and Dark Horse Digital.